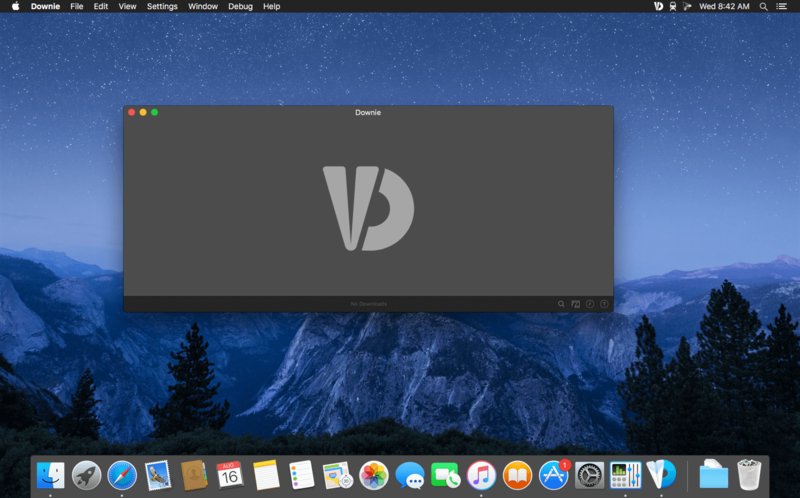 Downie is the only video download for macOS you will ever need. It isn't simply another YouTube-downloader: Downie supports at this moment over 700 different sites! The full list may be viewed in Downie's preferences, under the Sites tab. Supports many sites - currently supports over 750 different sites (including YouTube, Vimeo, etc.) and the number is rapidly growing. 4K video YouTube support - unlike many other YouTube downloaders, Downie supports HD video on YouTube, up to 4K. Postprocessing - need your video in MP4 for iTunes? Or want just the audio track? No problem, Downie can handle this for you automatically! International - not only that Downie supports country-specific sites, it is localized into various languages. If your language is missing, contact us - we can offer you a free license in exchange for a translation. UI Redesign - Most of the UI is completely redesigned, including the app icon. 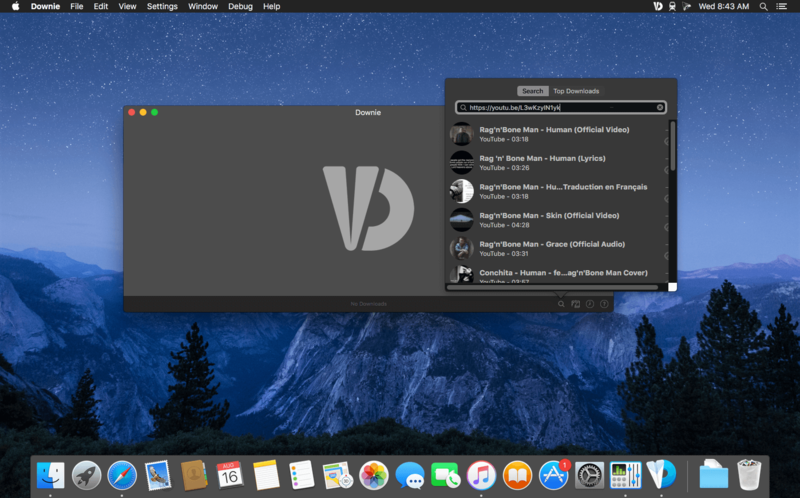 Menu Bar Control - Ability to control Downie from the menu bar. Link Filtering - Select the links you want to download in case Downie finds multiple downloads on a single page. Scheduled Downloads - Schedule delayed download start. Windowless Mode - Ability to close main window without closing the app. Simple Mode - Less distracting way to display your downloads. Download Folder Hierarchy - Options to sort downloaded files by website, playlist and include playlist information in file name. Automatic Ordering - Option to automatically order the queue by progress or name. Automatic Clearing - Option to automatically remove completed downloads from the queue. Safari Extension Options - Option not to activate Downie when using Safari extension. Browser Extensions + Postprocessing - Browser extensions are updated and support sending links to Downie with a postprocessing intent. DASH Stream Support - It's a good thing! HLS Subtitles Support - More weird letters, but trust us, it's a good thing. AAC Support - Option not to enforce MP3 with audio postprocessing. User-Guided Extraction + Pop-Ups - User-Guided Extraction now supports pop up windows (disabled by default), which allows signing into some services using e.g. Facebook, Google or LinkedIn. New: Option to ignore generated subtitles (e.g. on YouTube). Improved: 163.com, brightcove.com, discovery.com, iqiyi.com, kaltura.com, tvnow.de, vimeo.com, youtube.com.